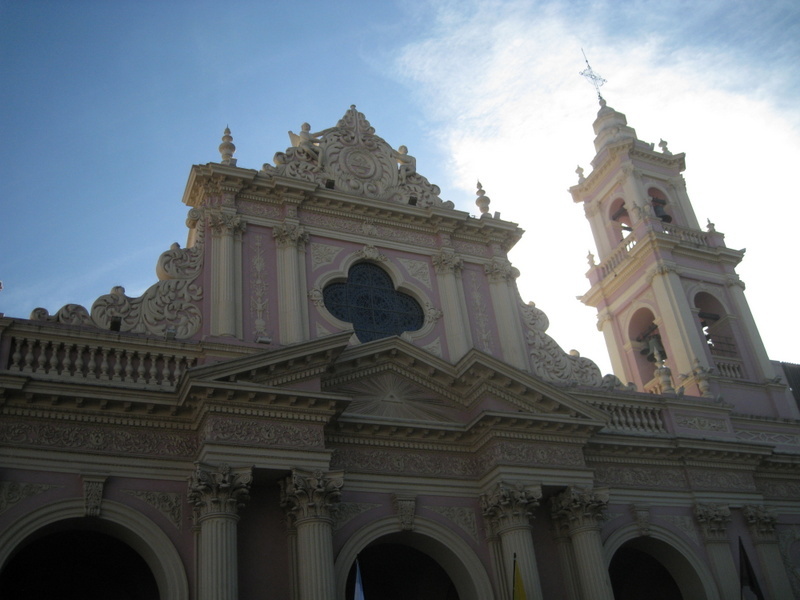 Overall, Salta was just a stop-over for me. I had heard great things about the city located in northwest Argentina, but because I was headed to Bolivia where similar landscapes and the same excursions are available for a fraction of the price, I elected to just stay in the city. Well, the city doesn’t have a lot to offer other than a bunch of old churches. What was interesting is that at 4pm on Sunday in front of a church that is located at the north end of a huge public square/park they held an outdoor catholic mass. The police blocked off traffic from several directions to allow for the mass to take place. Hundreds of people stopped their afternoon picnic to “attend” church – an unusual, but apparently successful outreach program.